Since the beginning of time, I'd been hunting for that perfect orange toned lipstick. But whenever I'd try on a bright shade, it would just look off on my NC43 skin. I wanted it to look lively, happy and fun and not like I'd just swallowed a neon street sign. I was almost about to give up when my wish was fulfilled in the form of this beauty from Pupa, the Pupa Volume Lipstick in 403. I'd read online that when looking for orange shades, darker skin tones should gravitate more towards red-orange hybrids and yes, that's so true because I can pull this baby off with an air of confidence. Unfortunately it comes from the Pupa Volume collection and I didn't realize this until after I'd paid for my purchase. The box claims a 5% increase in volume within 10 minutes and a 12% increase after 7 days of continuous use. I for one do not need a plumping lipstick of any sort and started hyperventilating a little when I saw the box. Needless to say, the pumping effects, if any, are negligible and I'm not left looking like I had a botched lip job. Thank goodness! 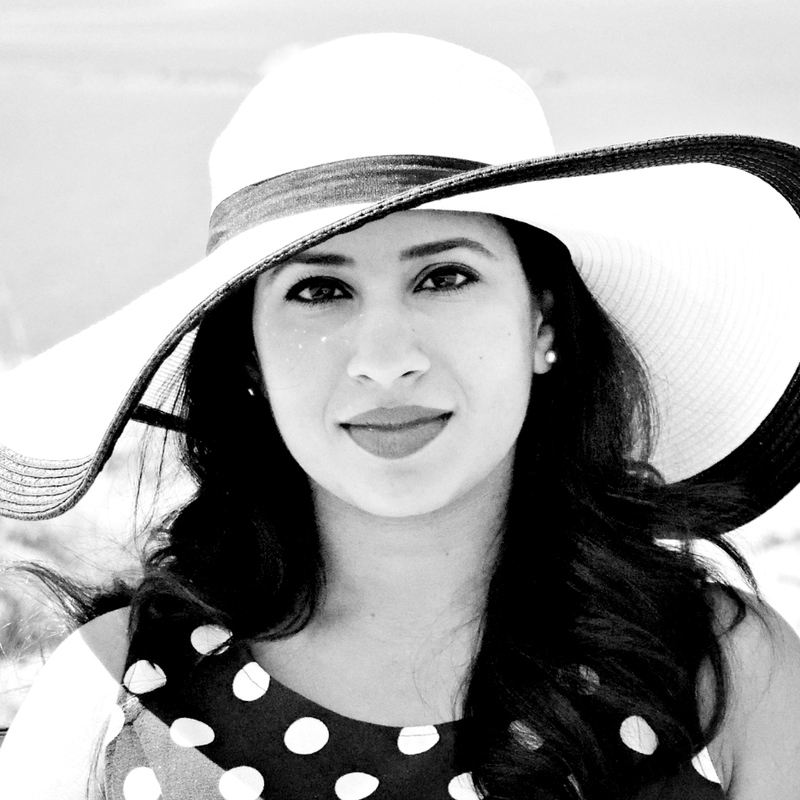 The lipstick has a rich moisturizing feel that is ultra comfortable to wear. Because of the creamy texture though, the first coat applies a little patchy in places, as if the lipstick is being shifted around during application. The second layer adheres more evenly onto the lips and you're left with a gorgeous lustrous finish minus any shimmer or sparkle. Though this range won't deliver a full on opaque look, these lipsticks aren't sheer either, which is probably what makes this particular shade much more wearable for me. I get a good 4 hours of wear time before I have to reapply, which by the way is a breeze. The scent is very nostalgic, I want to say like baby oil, but I just can't put my finger on it. It is quite strong and I am aware of it for the first 30 minutes after application, so this might be one to stay away from if you're sensitive to fragrances. But apart from that, this lipstick is a winner and I've been reaching for it for the good part of the last month. I bought this from Vava Voom for 6.750 KD but I've seen Pupa being sold at Centrepoint and Debenhams as well. 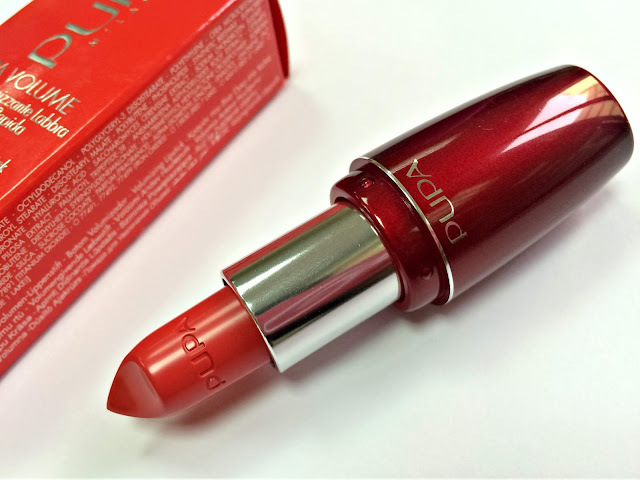 Have you tried Pupa before? 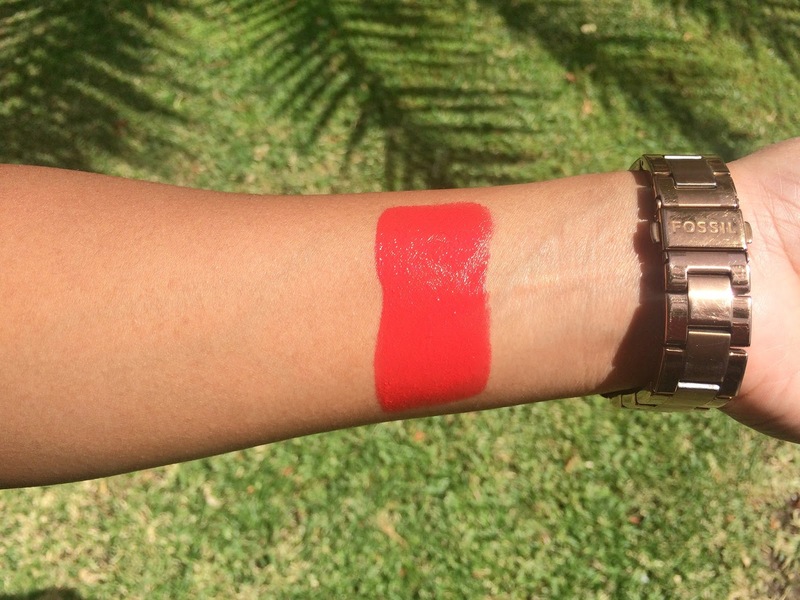 What are your favourite summer lipstick shades? And what makeup do you pair with brighter lippies? This is one of my favourite shades! Hi Paige! I used to mainly wear more subdued colours, but this is definitely my current favourite too!